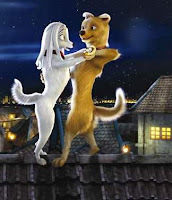 SAMINA KAREEM, ANIMATED FEATURE FOURM, MUMBAI: Do you think animated films have a good future in Bollywood? DALE: We all have a child within ourselves, and till that child is there, animation will prevail. We have actors playing characters in films. But animation actually goes one step ahead, by creatively moulding the look and style of characters, giving further depth and dimension to them. The very thought is challenging for the animator as well as the viewer. No wonder, animation excites us.